Contemporary homes follow modern ideas, and combine several architectural styles. Often asymmetrical, these plans feature unique wall angles and irregular shaped windows for added light. Bold features characterize Contemporary homes by including open, flexible floor plans and minimal decorative elements. Post-World War II wealth in the United States led to homes being designed for artistic pleasure rather than being strictly utilitarian. Contemporary floor plans can be widely varied, with the ability to be built in any size. Careful attention to design and materials can produce a modernist style house on a realistic budget. 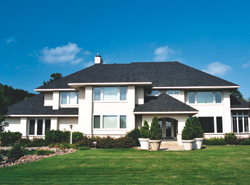 Contemporary style home designs encompass unique features, and uncommon design elements typically associated with homes featuring open floor plans. These unique floor plans will create a bod statement that will make your home design stand out in any neighborhood.